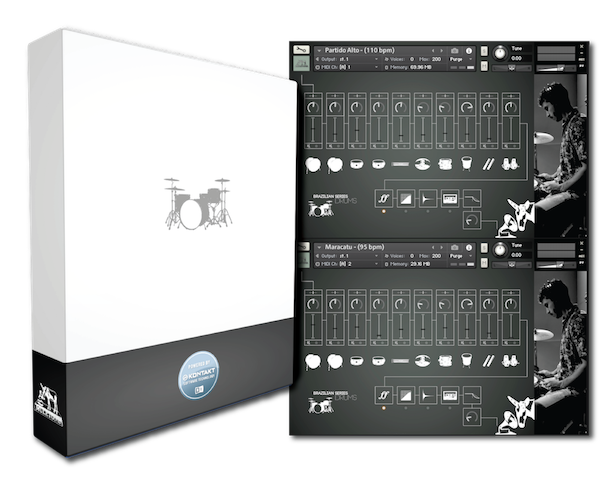 Muletone Audio has released Brazilian Series: Drums for Kontakt 5.6+. Brazilian Series: Drums presents a versatile rich performance of Brazilian rhythms. Over a year of development and more than 10000 samples, the library features a jazz drum kit played by the prominent Brazilian drummer Gabriel Bruce. The instrument features a Ludwig Legacy Maple kit recorded with traditional drumsticks and brushes, preamps of high calibre with extensive variation of dynamics in each piece.